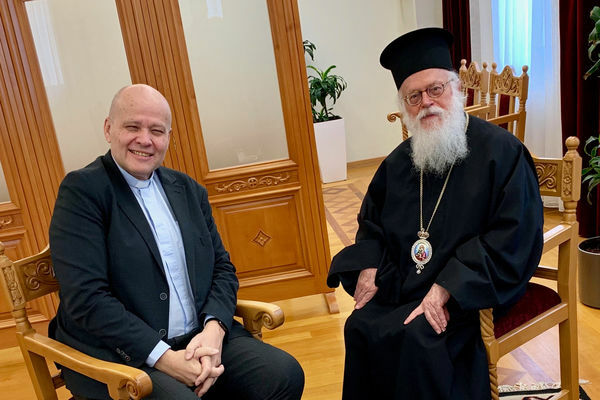 EAL President Jan-Aage Torp was invited this week to a personal meeting with His Beatitude, Archbishop Anastasios of Tirana, Durrës and All Albania. His Beatitude is the Patriarch of the Autocephalous Orthodox Church of Albania. The meeting took place in the Cathedral of Tirana.